The Derek Rose Boxed Silk Handkerchiefs are made from pure silk and come in a fun and quirky spotted design. 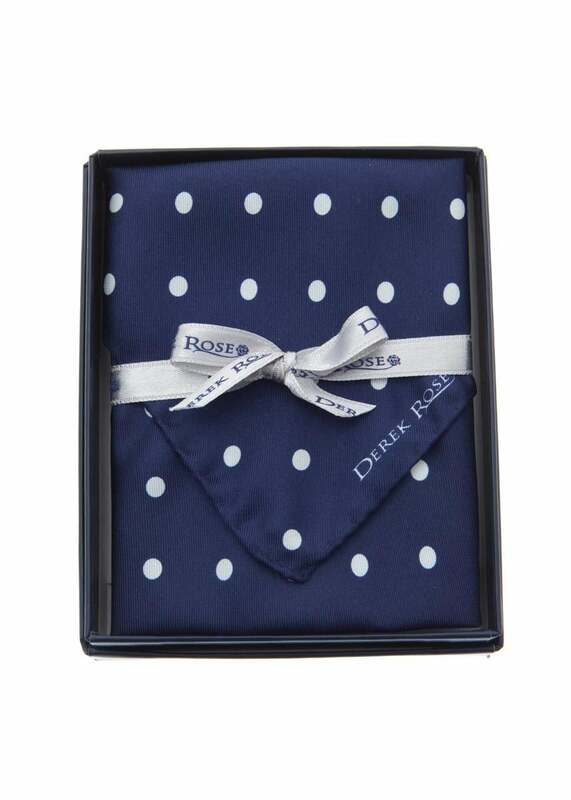 The Derek Rose Boxed Silk Handkerchiefs are made from pure silk and come in a fun and quirky spotted design. Finished in wonderful gift packaging with the Derek Rose ribbon, they make the ideal gift.